We are as passionate about FrenchEntrée magazine as we are about its diverse and endlessly fascinating subject matter: buying property and living in la belle France. 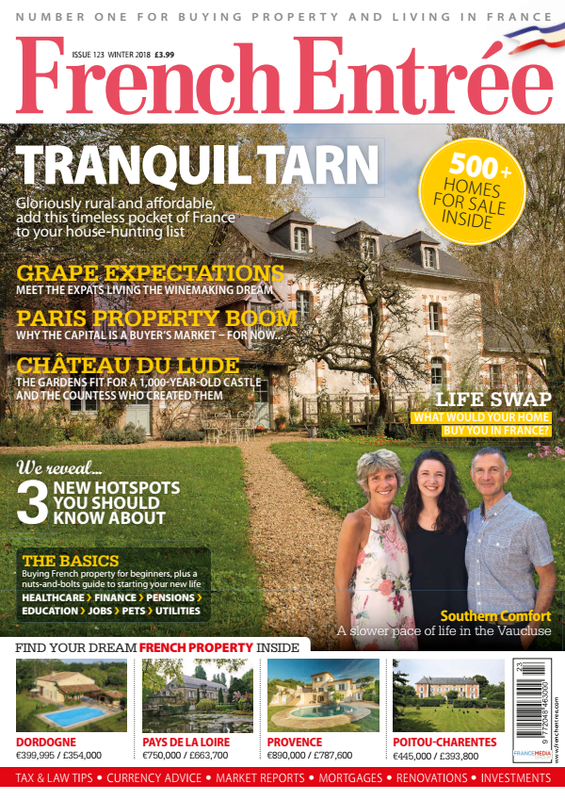 In every issue we bring our readers a taste of the best French properties for sale, inspiring case studies from people who have purchased, a sprinkling of culture and loads of practical advice on buying and living in France. Launched in 2001, the magazine is published quarterly and is still the largest pagination of any French magazine in the UK, with an overall readership in excess of 83,000. Stocked through W.H. Smith High St and Travel, Independents and other quality outlets in the UK. Also available in the US and Australia and as a digital edition. To advertise your business in FrenchEntrée Magazine call our dedicated team on +44 (0) 1225 463752.